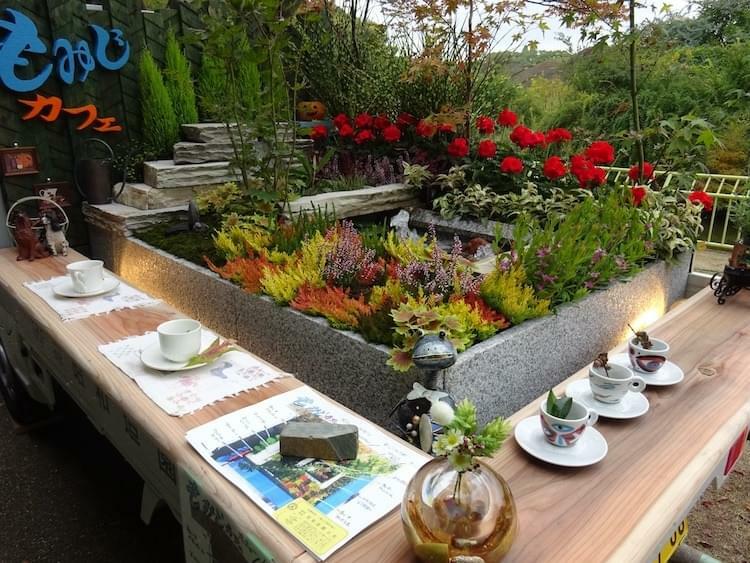 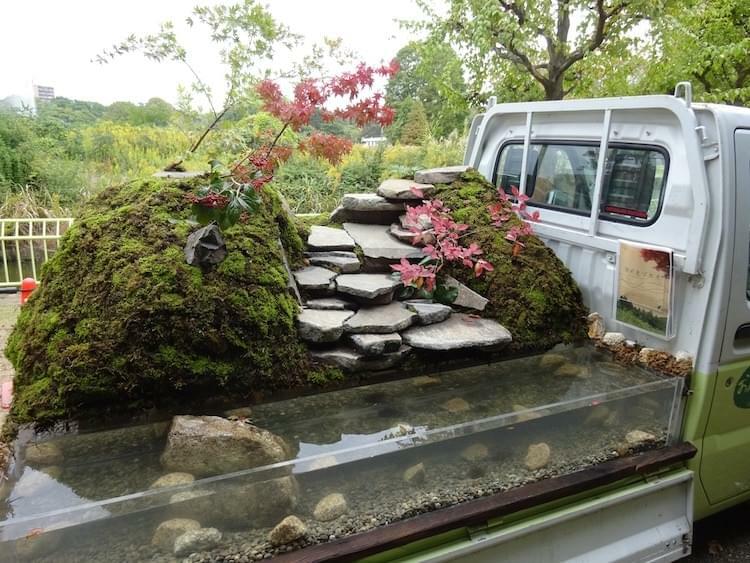 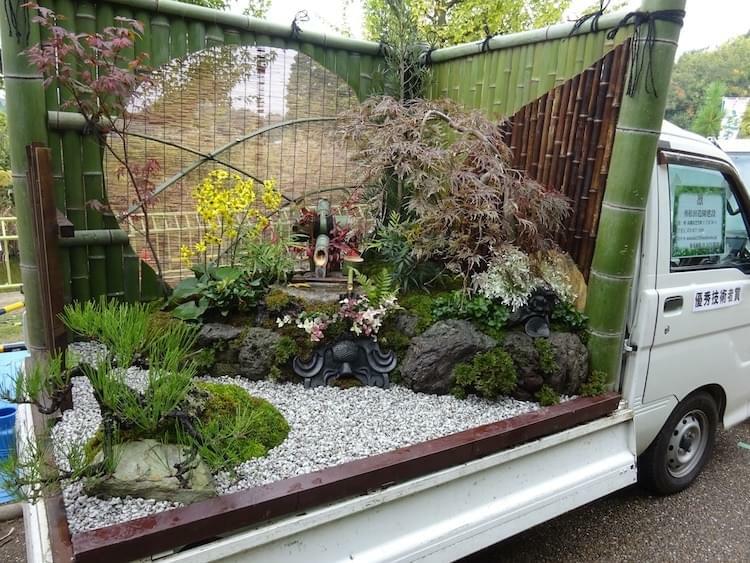 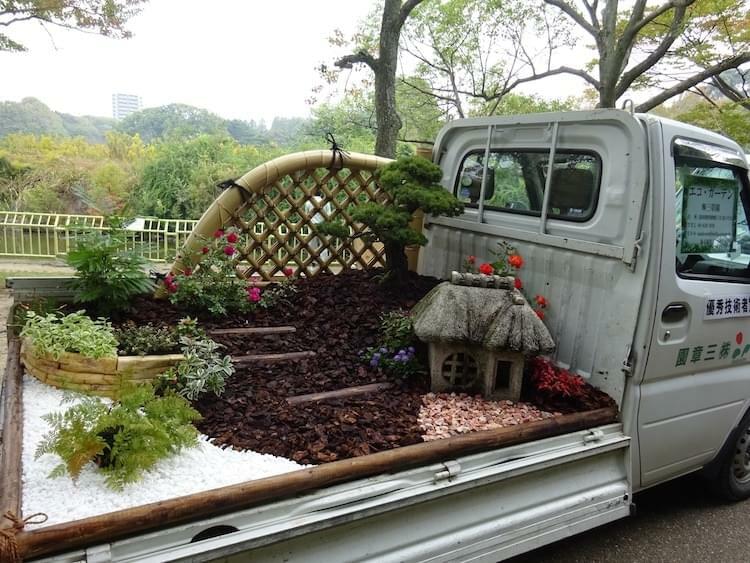 Every year, the Japan Federation of Landscape Contractors hosts the Kei Truck Garden Contest, a quirky competition that turns tiny trucks into moveable gardens. 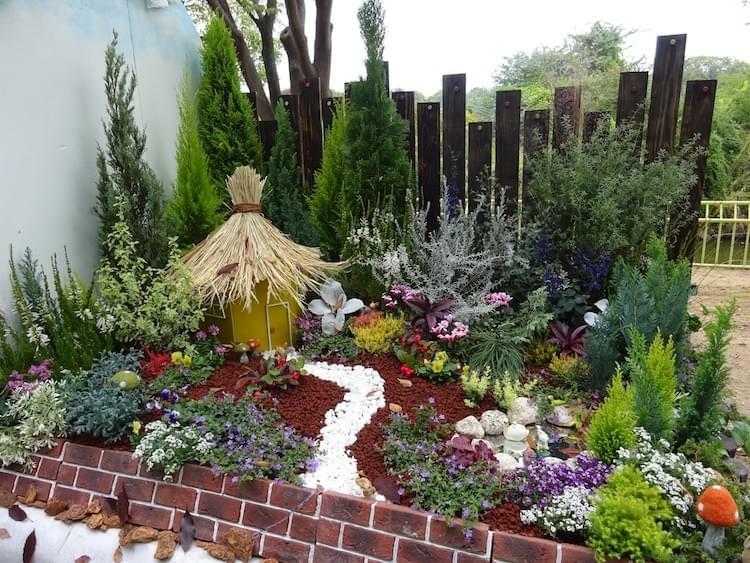 The annual event attracts landscape artists all over the country, inviting them to pair their knack for gardening with a need for speed. 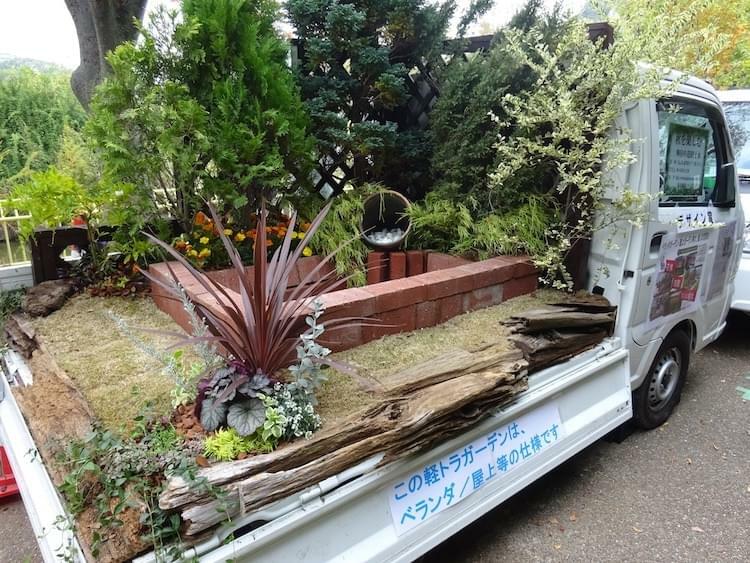 Praised for its practical size and maneuverability, the miniature Kei truck fittingly has roots in Japan's construction and agriculture industries. 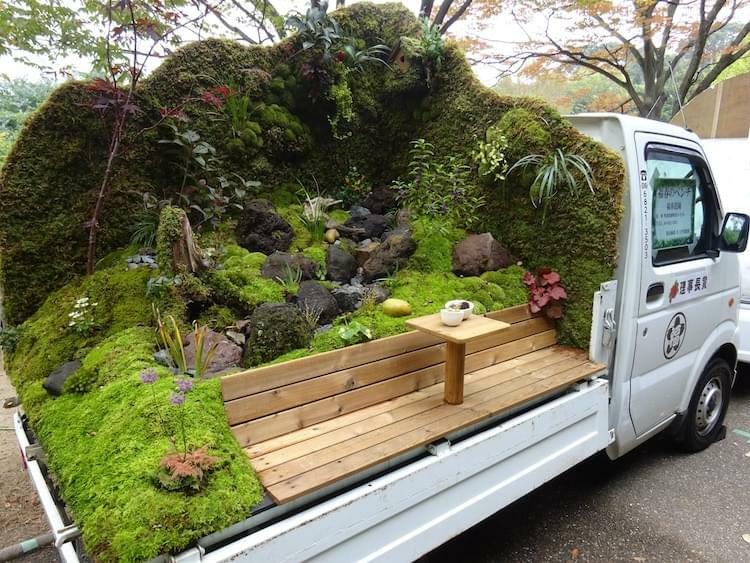 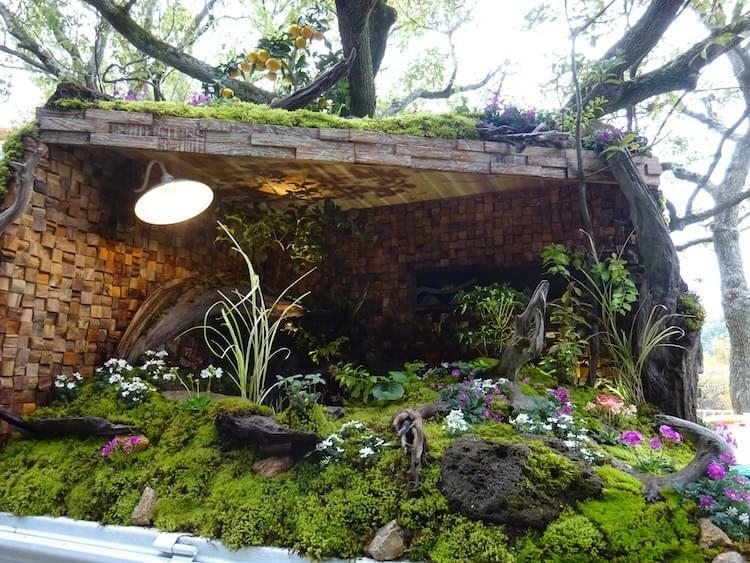 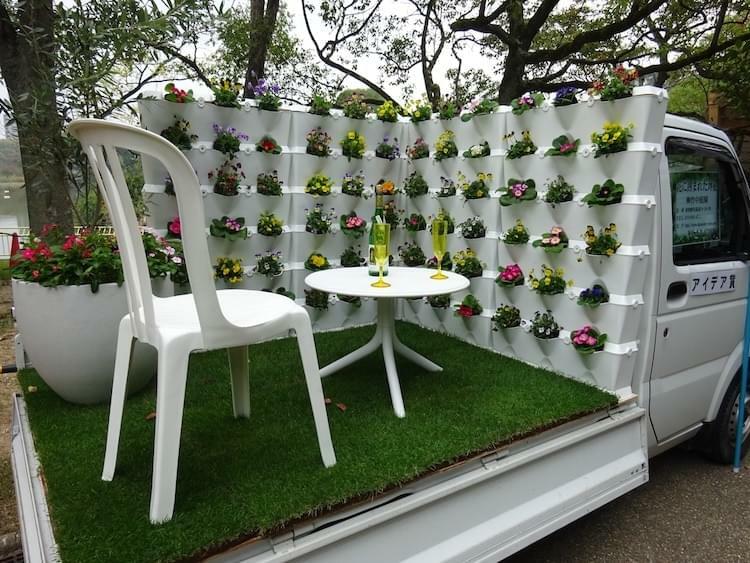 Though typically used to transport materials to and from work sites, the vehicle has recently been reimagined as the foundation for these enchanting pop-up gardens. 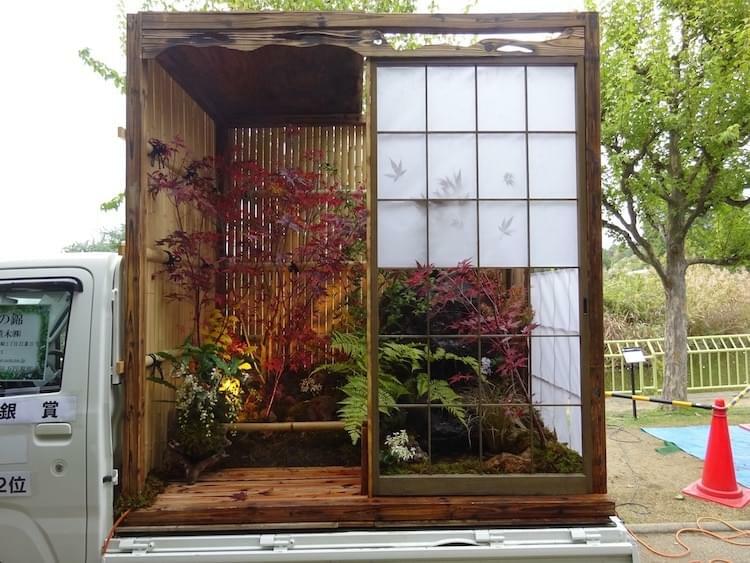 Year after year, the eye-catching entries of the contest highlight the distinctive beauty of the Japanese garden. 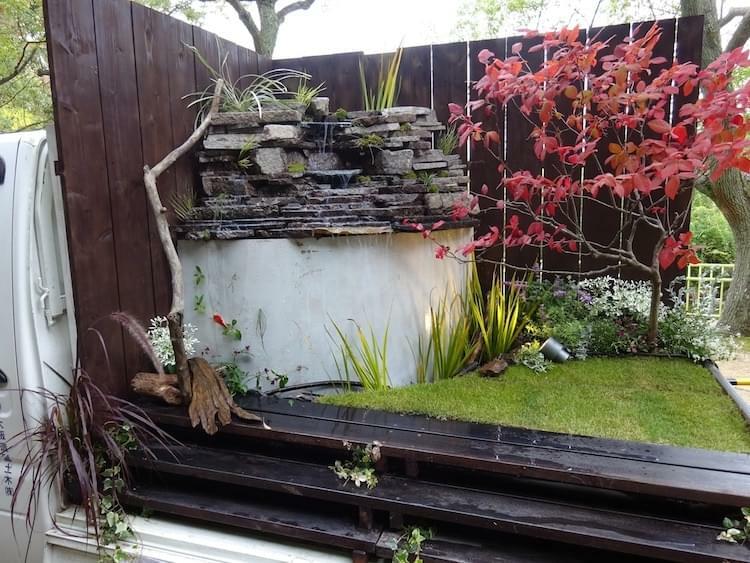 While most participants stick to traditional design elements, like pebble paths, sliding screen doors, and tranquil water fixtures, others have a more modern and minimalist look. 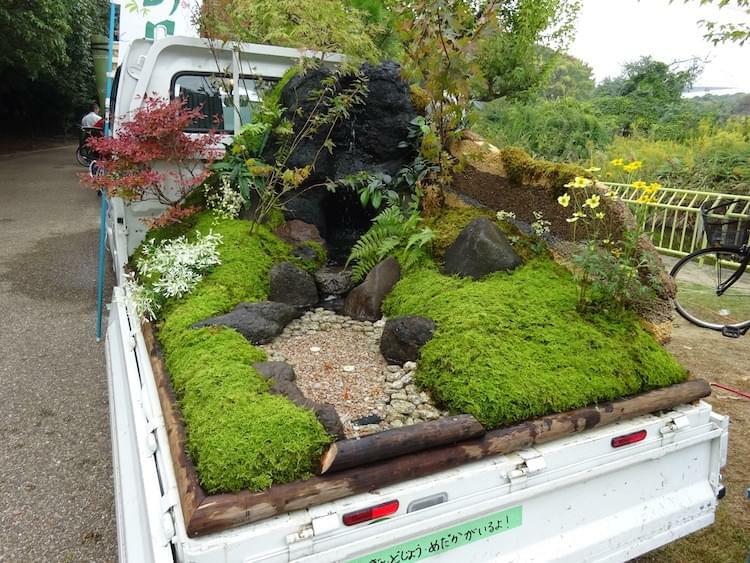 No matter the aesthetic approach, however, each exquisite creation proves that a flat bed can be a flower bed with a green thumb and a colorful imagination.